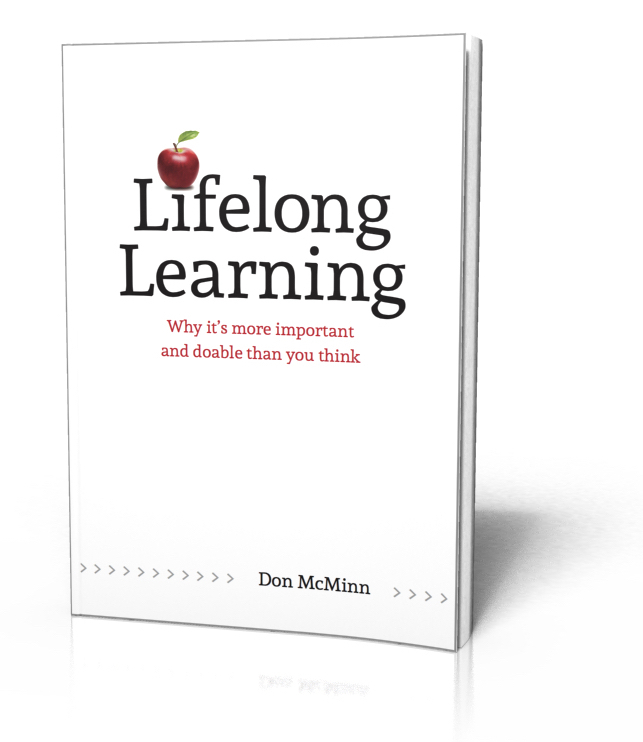 When you subscribe to my blog, I’ll immediately send you my new e-book, Lifelong Learning. You’ll also receive fresh content directly in your inbox each time I post. Lifelong learning is more important than you think. Neglect it and you’ll become stale and antiquated. Embrace it and you’ll stay fresh and current and feel fully alive. Lifelong learning is more doable than you think. Simply integrate into your life four basic, lifelong learning habits—and you’ll immediately enjoy a more invigorating life. Sustain these habits over a long period of time and the results will be astonishing. Once you confirm your subscription, I’ll immediately email you a link where you can download my brand new e-book FREE.